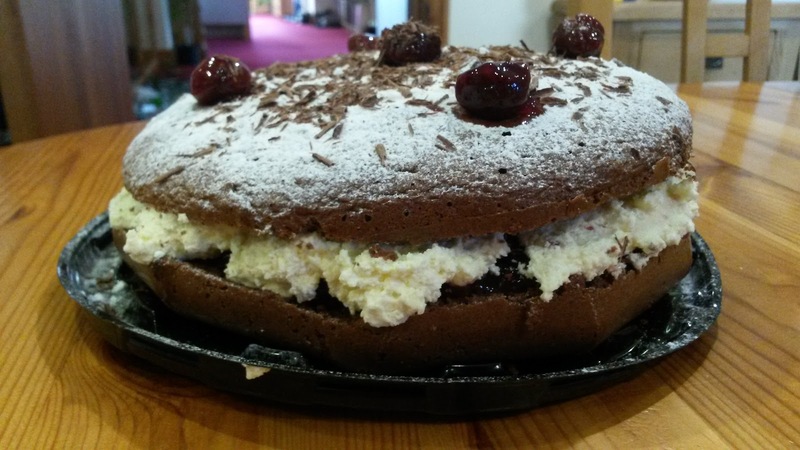 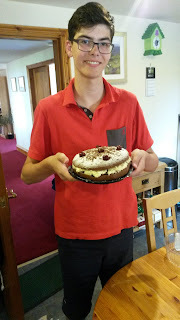 William has been baking this week and decided to make a Black Forest Gateau after watching the contestants on The Great British Bake Off make one. He altered the recipe slightly as it should have had 3 layers of sponge but he didn't think his sponge was thick enough to split into three so he left it as 2 sponges. As we didn't have any kirsch he used the blackberry gin that Mark made last year. 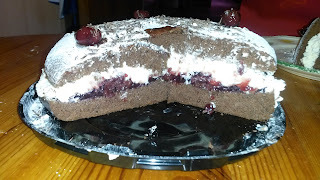 The cake was delicious and is definitely one to make again.